This sounds funny but this blog is about writing blogs! And there is something in it for you. You will find out later what this is. I can already say it involves free shopping on our website. This sounds funny, but this is a: "BLOG...ABOUT WRITING BLOGS". And there is something in it for you. You will find out later what this is. I can already say it involves free shopping on our website. To inspire people in customizing their bike. Because we have an awesome bike build to share. We figure out a solution for a problem during a bike build. To answer questions and provide you with extra information about a certain product. All of them great reasons to write a blog! Now is your time to shine on our blogpage and earn money doing it! We came up with the idea to make YOU, our loyal customer, share your interesting stories and knowledge about projects, assembly and more bike related things. Everyday we've got hundreds of visitors with the same passion who would love to read about subjects you want to talk about. From people who just bought their first motorcycle, to people who have done several bike builds. Exchange reactions, start conversations and get positive feedback! We feel it's an honor to be able to share your knowledge with others. We would like to see the people and the projects behind the orders we get in the webshop. Everyone who has some knowledge about a particular subject is welcome to talk about it and share their thoughts. 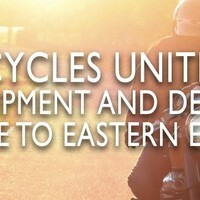 We would love to share your knowledge, experience and enthusiasm with others to inspire and motivate fellow motorcyclists to keep riding and stay creative to create a one-of-a-kind bike. To support this cause we like to create some competition. Every week we will post a blog that has been send to us. 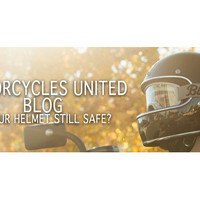 Every month we will take a look to the blog that has been clicked on the most. 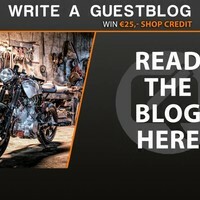 The most popular blogger will receive an email from us and they will get 25 euro's to spend on our website. You can buy motorcycle parts, a cool shirt and much more. For us it is al about sharing the passion, inspiring others and expanding a like minded community. We hope you are as enthusiastic about this idea as we are! Everyone likes free shopping…. At least thats what we think, so lets start sending us these cool blogs. 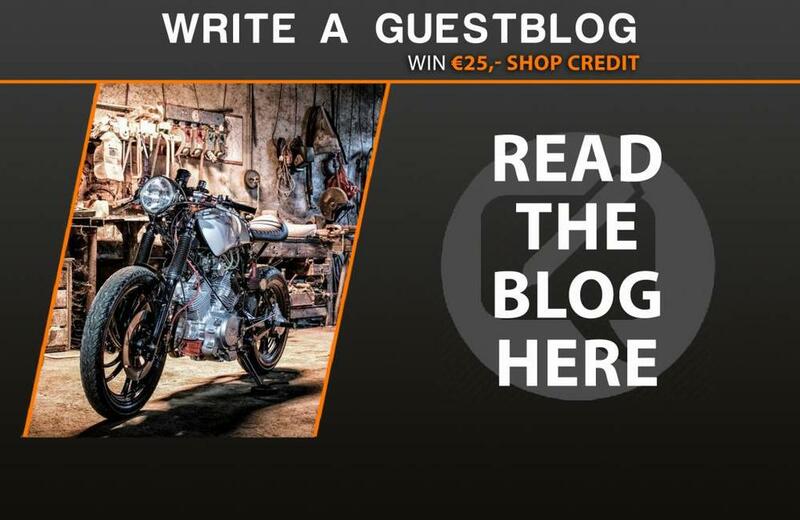 Every week we will pick one of the blogs we received and publish it on our blogpage! NB: Blogpost needs to be in English! Now we would like to give you a Bikers wave, a Builders salute and a Writers goodbye.